Two further antiquities due to be auctioned at Christie's New York on December 9, 2015 have been identified by Glasgow University researcher, Dr Christos Tsirogiannis. Lot 45. Celtic bronze dagger and scabbard. Estimate: $10,000-$15,000. 'From a Texas Private Collection'. Collection history: 'with Robert Haber, New York. Acquired by the current owner from the above, 1986'. Images of the dagger appear in the Becchina archive where they are listed as 'Villanovan'. Lot 101. 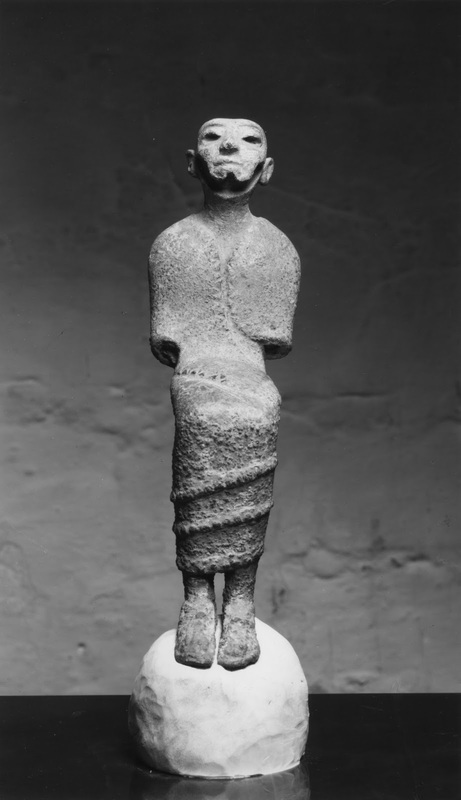 A Canaanite bronze enthroned deity. Estimate: $100,000-$150,000. 'The property of a New York private collector'. Collecting history: 'with Mathias Komor (1909-1984), New York (inventory no. F.761). Antiquities, Sotheby's, New York, 29 November 1989, lot 17.' Six images of the figure appear in the Symes-Michaelides photographic archive. When did lot 45 pass through the hands of Becchina? When did lot 101 for part of the stock of Robin Symes? These two examples suggest that the due diligence process used by Christie's in New York is unable to identify such recently surfaced pieces. Such identifications appear on a regular basis and can only serve to undermine buyers' confidence in the market. We presume that Christie's will now be contacting the relevant authorities to clarify the situation.